News that’s so far out there, it just might be true. Pluto–isn’t that the former planet? 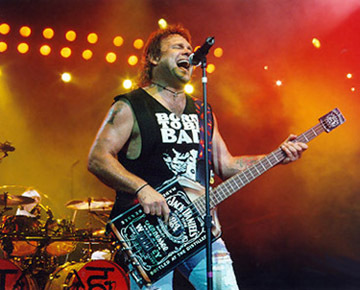 If you’re a Van Halen fan who’s missed that “pint-sized, Jack Daniels-drinking bass player”, there’s good news. As Van Halen begins work on Encore, their first studio album since 1997, they will now do so with a new but familiar lineup. Janie Liszewski, soon-to-be Mrs. Edward Van Halen and the band’s publicist, said market research indicates the Van Halen fans want the original band together. This would mean replacing her soon-to-be stepson Wolfgang Van Halen on bass with original Van Halen bassist Michael Anthony. Anthony was replaced a few years ago by Eddie’s son Wolfgang after a reported falling out with the band’s co-founder and guitarist. Liszewski reiterated the lineup change has nothing to do with Wolfgang’s youth or bass playing. “He’s a completely capable musician who has skills beyond his years. This is just what the fans want,” she explained. Judy Sheindlin, a.k.a. “Judge Judy”, is bitter about being snubbed for a Supreme Court nomination. “I’m a woman who’s presided over many small-claims matters and I have a lot of experience in the public eye. Why not me for the Supreme Court?” the notoriously-feisty judge told Ponderings from Pluto’s C.F. Twob. Sheindlin also looked forward to being the second female Jewish judge in Supreme Court history and hopes to replace Judge Ruth Bader Ginsburg to accomplish that. They’ve come and gone. John Travolta, George Clooney. Alec Baldwin. The question remains. Who will play detestable oilman J.R. Ewing in the proposed feature film Dallas? The movie would be a film adaptation of the popular daytime drama that lasted 14 years. On the show, Hagman played Ewing, billed as “The man the whole world loves to hate.” Ewing cheated on his wife Sue Ellen and treated her contemptuously, accidentally caused sister-in-law Pam to miscarry while he was drunk and on several occasions was punched, thrown into the Southfork ranch pool and was even caught by Sue Ellen in the act of adultery. “People have asked me whom I think should play J.R. in the movie, and I think the choice is obvious—Gary Busey,” Hagman said. What made Hagman’s performance as Ewing even more impressive was the fact that he and Linda Gray, who played his TV wife Sue Ellen, were actually good friends off-camera. 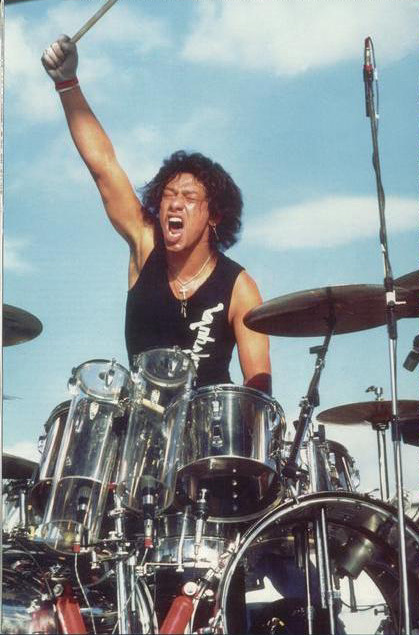 Alex Van Halen is, no doubt, excited about the upcoming Van Halen album. Van Halen drummer Alex Van Halen leaked the name of Van Halen’s new album, which would be their first new studio album in since the 1998 Van Halen III and their first in more than a quarter of a century with original frontman David Lee Roth. (The last Roth-era album was 1984, which has sold over 10 million copies). Other names the band considered were 2010 (due to its propensity towards numerical names), Yes, He 812 (a spoof of the Hagar-era album OU812), We’re Back! and Van Halen IV. Alex added the band will head back into the studio later in the summer once Eddie returns from his honeymoon with Janie Liszewski. “Ed has literally thousands of tapes of unreleased guitar riffs and songs, so with Dave’s vocals, we expect it shouldn’t take long to get the album made,” Alex added. The album, of course, will feature Alex’s nephew and Eddie’s son Wolfgang on bass. It may also feature a bonus track of the guitar riff used in Back to the Future when Marty McFly–dressed as an alien–wakes his own father from a deep sleep. Alex, an ordained minister who will officiate in the marriage of Eddie and Janie in June, said the album will be out in 2010. 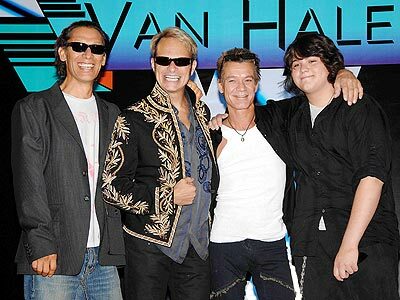 The current Van Halen lineup: (left to right): Alex Van Halen, David Lee Roth, Eddie Van Halen and Wolfgang Van Halen. The Dixie Chicks, Country Music exiles after trashing then-President George W. Bush during a London concert, are trying to get back into country music. The trio has recorded a cover of the 1960 Brenda Lee song “I’m Sorry” as a way of trying to make nice. Emily Robison and Martie Maguire are also in the trio. Country music fans destroyed Dixie Chicks CDs and lobbied radio stations to quit playing their music after Maines told the crowd at a London concert she and Robison and Maguire were “ashamed” to be from Bush’s home state of Texas. Saying he’s tired of the cold weather and wants a chance to play closer to home, Brett Favre has signed a two-year, $10 million contract to play for the New Orleans Saints. The Mississippi-born Favre lives in Hattiesburg, which is about 110 miles northeast of New Orleans. What about Saints starter Drew Brees? Currently, Saints punter Glenn Pakulak wears Favre’s number 4. Pakulak said he’d be willing to give the number to Favre but joked that he’d demand it back if Favre throws an interception this season that results in a loss. A little research into the family tree of Oksana Grigorieva, girlfriend of soon-to-be-divorcing actor/director Mel Gibson, reveals one startling detail. Through her father’s side, Grigorieva is Jewish. The Russian beauty’s paternal grandfather’s birthname was Davidov, a classic Russian-Jewish surname. It was later changed to Chernuha to avoid anti-Semitism. Grigorieva is actually her mother’s surname. “Learning [that I’m Jewish] is a very pleasant surprise,” Grigorieva said, adding she intends to become an observant Jew with her beliefs somewhere between conservative and reformed. Gibson’s drunken anti-Semitic tirade made many in Hollywood wonder if he harbors any ill feelings toward Jews, especially since his father, Hutton, denies the existence of the Holocaust. Does his girlfriend’s Judaism bother him? Gibson, a Roman Catholic, is currently divorcing his wife, Robyn, after more than 25 years of marriage. You are currently browsing the Ponderings from Pluto blog archives for May, 2009.